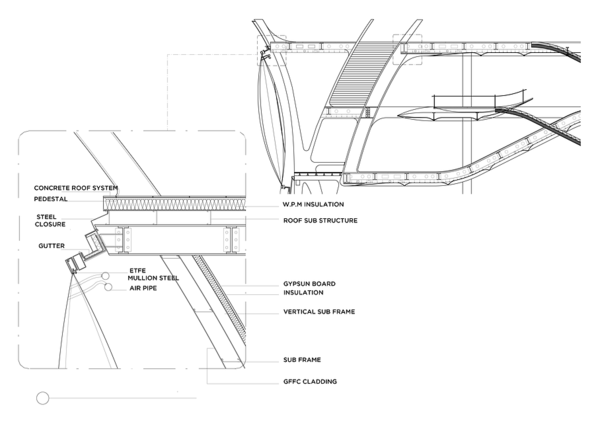 This museum, designed by Kyle Branchesi and Larisa Rus of the Southern California Insitute of Architecture examines interrelated systems which both modify the spatial structure of the building, and articulate expectations of the performance structurally, thermally, acoustically and environmentally. 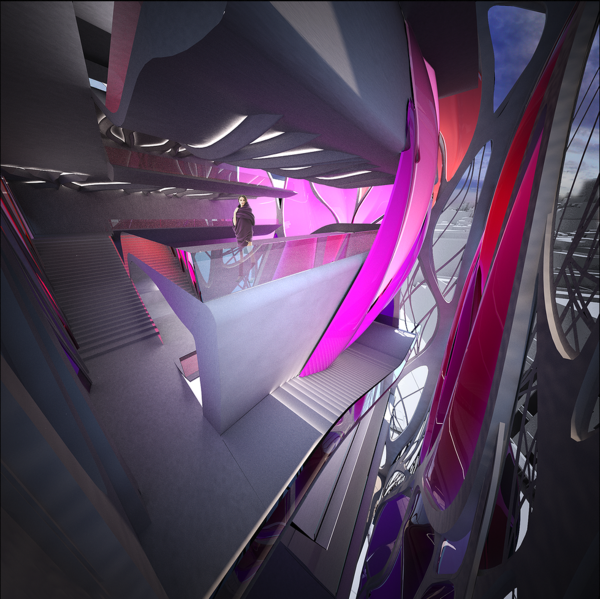 This project creates a contextualized assemblage of spaces for contemporary art to be explored. 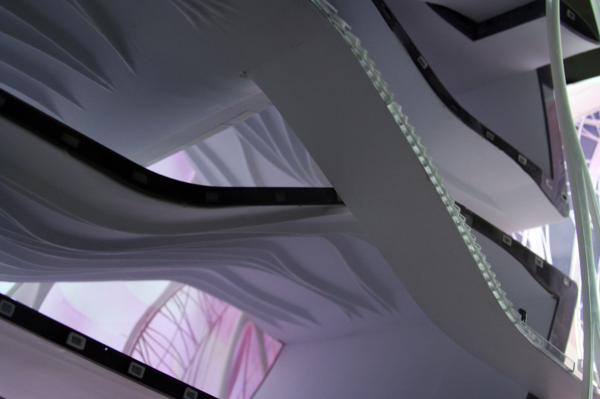 The interior is formed through a series of morphologies looking at the juxtaposition of larger and smaller galleries. The spaces formed between connecting galleries creates a surface which wraps through the museum. This gesture fades the transition between floor and wall. 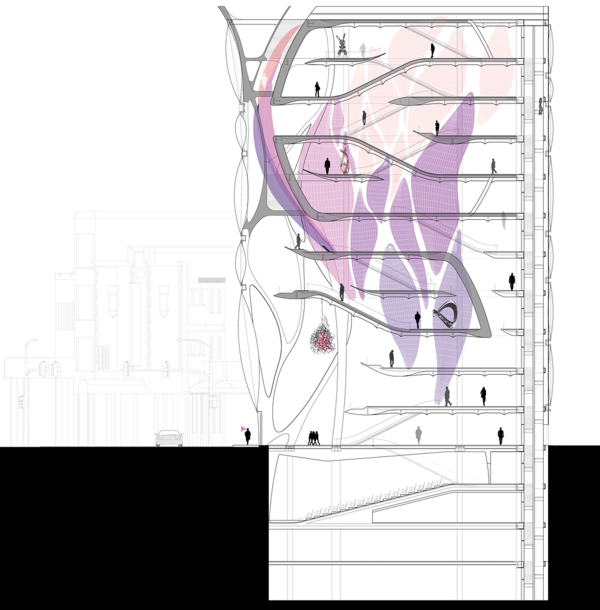 Circulation wraps into and out of the gallery spaces in a similar motion which can be observed in section.﻿The continual motion expands to the facade of the building. 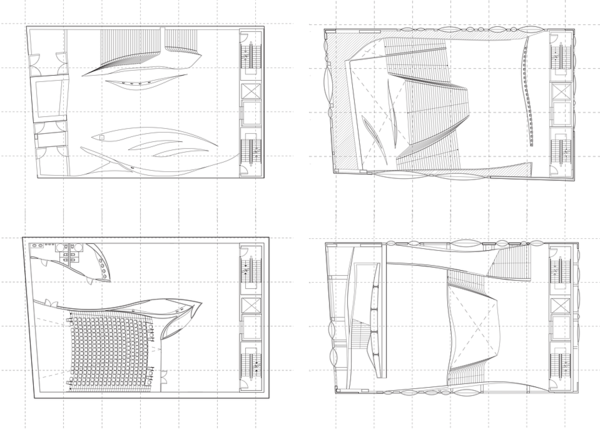 A series of design explorations focus on the organization of splines. The facade couples and expands which creates surfaces aligning to interior conditions. 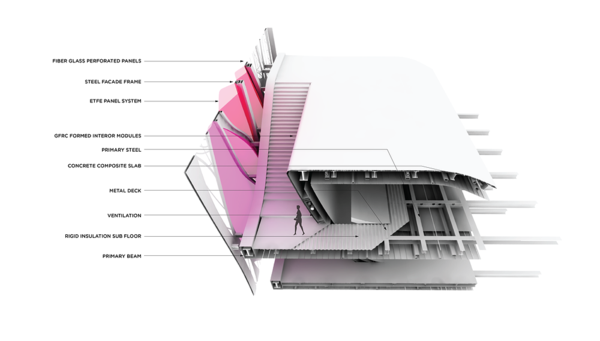 The facade is comprised of multi-layered ETFE panels that are coated and pumped with air. The panels expand both inwards and outwards; filtering sunlight and act in relation to seasonal weather patterns to allow natural ventilation. “Pollution is nothing but the resources we are not harvesting. 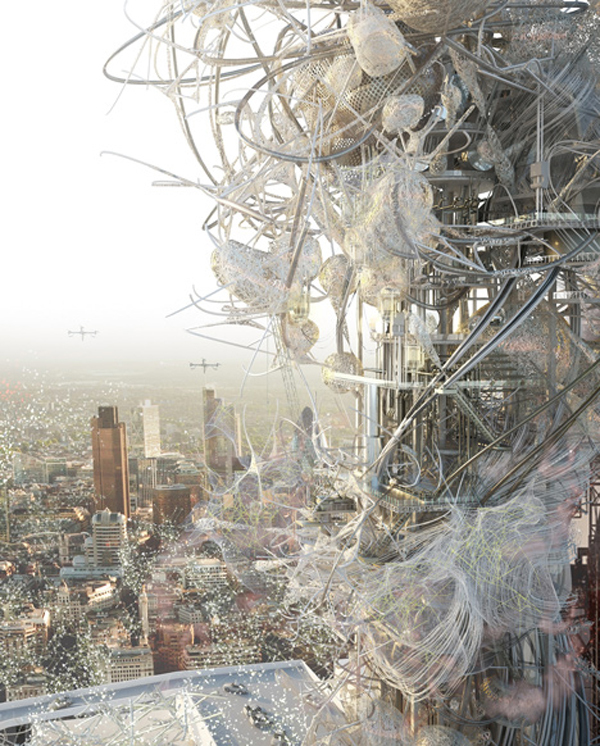 We allow them to disperse because we have been ignorant of their value.” Referencing the quote from Buckminster Fuller, Chang Yeob Lee adds that pollution could be seen as another economy; therefore Royal College of Art graduate has developed a concept to transform the BT Tower in London into a pollution-harvesting high rise. 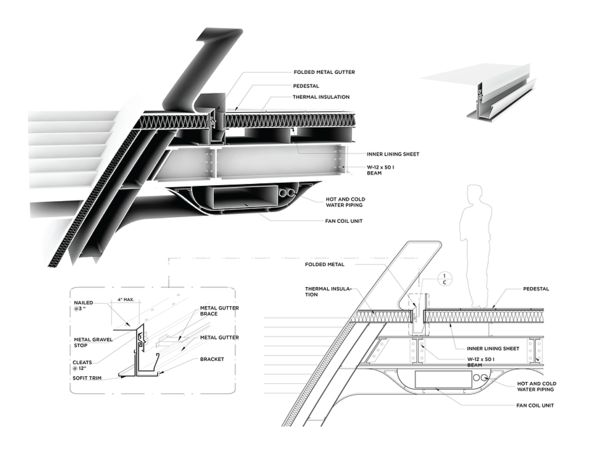 Synth[e]tech[e]cology is Lee’s diploma project from the architecture program at the Royal College of Art in London and he was one of two winners of the Sheppard Robson Student Prize for Architecture at the Royal Academy of Arts ‘ Summer Exhibition. The story of New Zealand-based designer David Trubridge is that of a man discovering, experimenting, and understanding nature. David’s professional journey is linked to his ongoing relationship with the landscape as a source of energy and inspiration. Trained as a naval architect in England, David Trubridge began his career as what he describes a “craftsman-designer-maker” submerged in the study of materials properties and capabilities. His first furniture designs borrowed from the admiration of artists like Brancusi and the Art Noveau movement – a period in his career of interpretation and translation rather than experimentation. 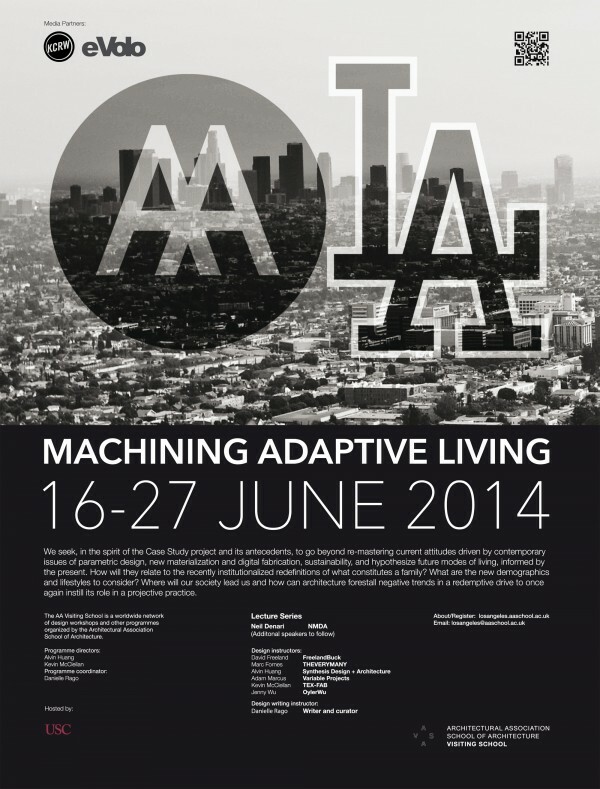 Registration is open to students and professionals alike, who are interested in participating in a 10 day AA Visiting School design workshop focused on exploring the legacy of experimental housing in Los Angeles through the lens of contemporary design methodologies. Expect to explore computational design strategies, implement digital fabrication processes, work with a global network of like-minded designers, researchers, and educators, and experience the iconic legacy of Los Angele’s mid-century modernist homes. 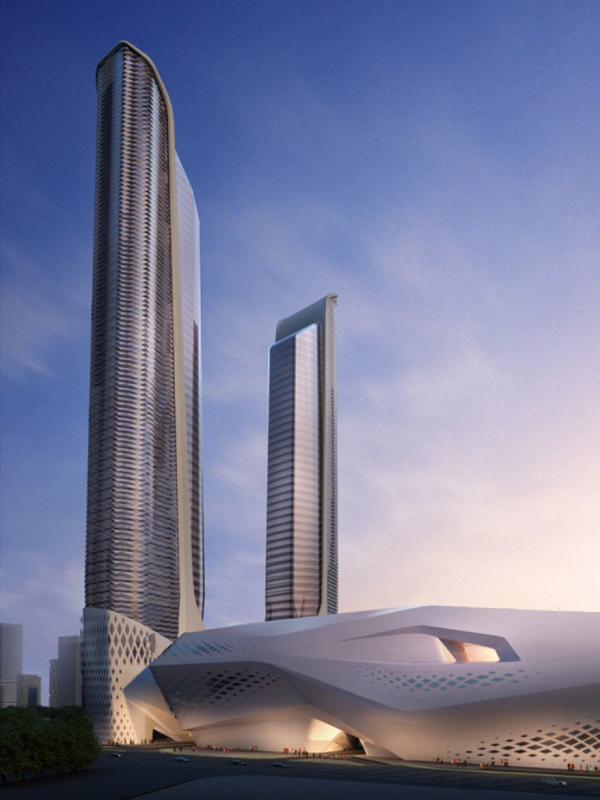 Nanjing Culture and Conference Center by Zaha Hadid Architects is under construction. The center’s master plan expresses continuity, fluidity and connectivity between the urban environment of hexi New Town, the agricultural farmland along the Yangtze River and the rural landscapes. The development consists of two towers – the taller is 68 floors high while the shorter one is 59 floors in height. The towers share a five-level, mixed-use podium. 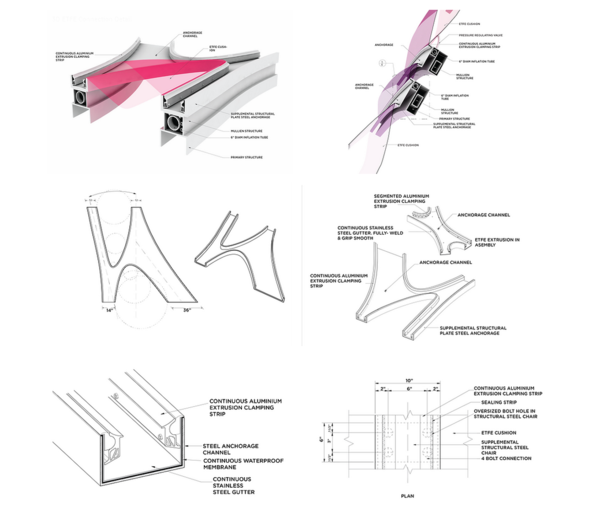 Graft’s design for the Austrian pavilion ‘Naturally Yours’, in collaboration with Alex Daxböck, has won 1st runner up for the Milan Expo 2015, themed ‘Feeding the planet’. The idea provides visitors with the opportunity to plant seeds and then directly eat the food grown on the pavilion. Based on Austria’s high quality, locally grown food, the concept for the pavilion lies within its structural framework – at the end of the expo it will be fully taken over by organic food. BIG+Allard Architecture, along with three other international firms, has unveiled their proposal for ArtA, a cultural hub on the edge of the Rhine in Arnhem, the Netherlands. 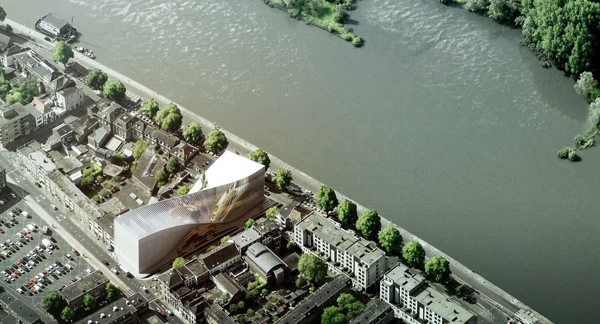 ArtA will house the Museum Arnhem and the Focus Film Theater and reconnect the City with its waterfront. BIG proposes the two programs to be merged with a public Art Plaza – making ArtA a vibrant public building for art, public life, education and recreation. La Trobe Institute for Molecular Science has got a new building which will meet University’s long-term needs. 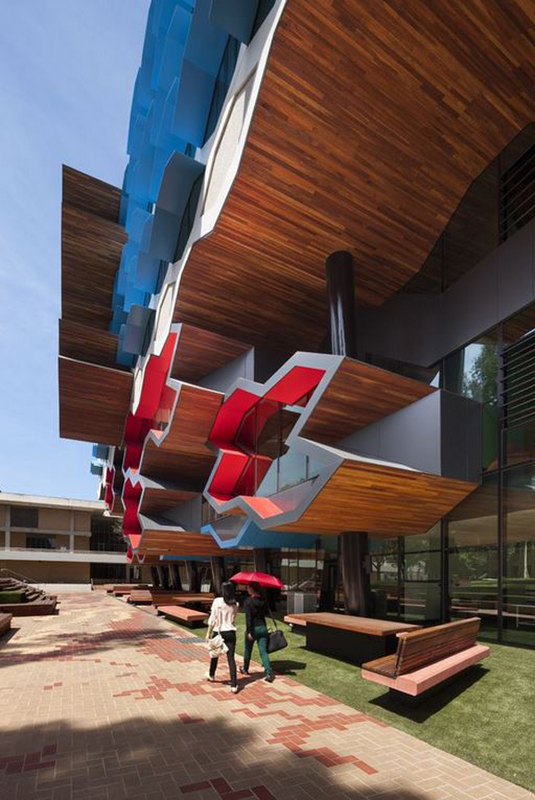 The cell façade edifice is designed by Lyons won the competition sponsored by the Australian Institute of Architects and the brief was for the project to have a transformative effect on the overall architecture and identity of the campus, previously built within the strict guidelines for heights and materials employed. 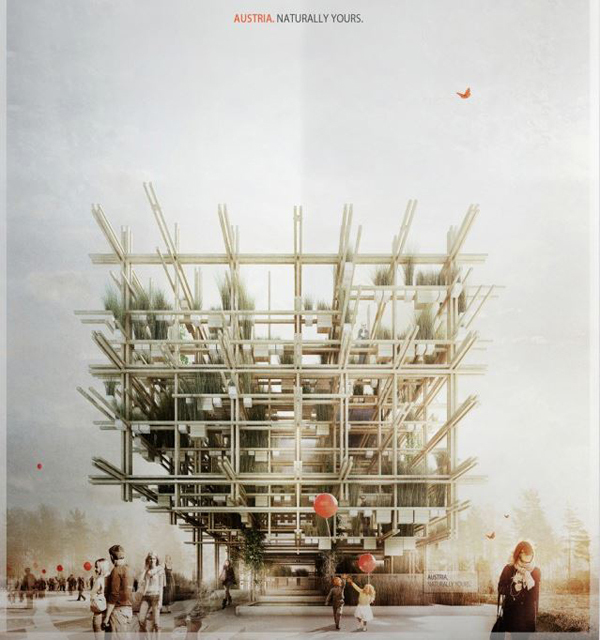 Oyler Wu Collaborative designed the winning entry for Beijing Biennale competition. 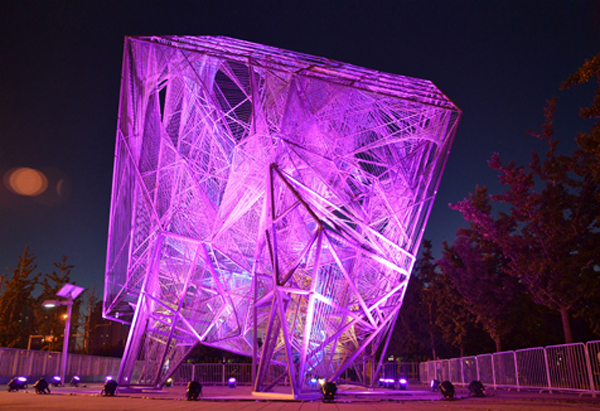 The Cube, a 3-dimensional solid object bounded by six square faces, is exhibited with ten other pavilions at the Beijing Olympic Park. This iconic piece installation is combines basic geometries while presents the successful synergy of art, design and science. At Oyler Wu Collaborative they were interested in challenging the traditional notion of a cube as a solid object, a cube as a space that can lose its distinct boundary once occupied, and the fundamental way a cube sits on the ground. The aim was to create an experience that is optically stimulating and spatially rich through the design of an abstract geometric figure. The Verlan dress is 3d printed by MarkerBot, now commercially available machine. The dress is the final result of the three-week digital fashion workshop held by fashion designer Fransis Bitonti, in New York. 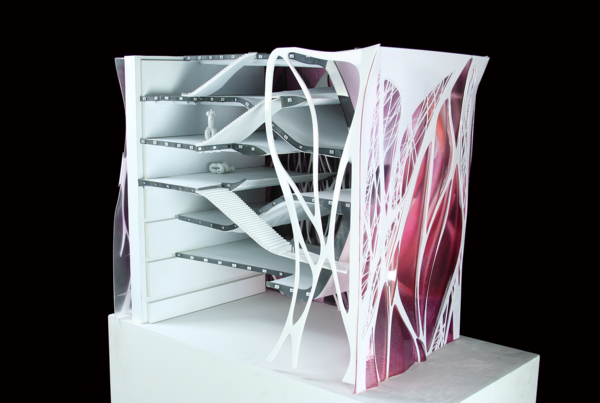 The theme of the project was not to design a piece of clothes but to design a method of making form using computers. Students therefore experimented with form-building software and created samples, using 3d printers. The workshop took place at the Digital Arts and Humanities Research Center of the Pratt Institute in New York.